Biscuits. What is more comforting in the morning? So homey. Makes you really feel loved, right? 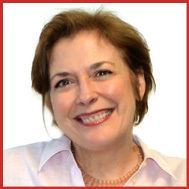 My mother used to tell me this story: When my father was at Officer Training School in Fort Benning, Georgia (WW II – he became a Major), they didn’t have room for everyone to live on the base, so residents of the town with extra room would take in officers and their wives. They lived with Mr. and Mrs. Olsen, in an upstairs portion of their house. And my mother would say, “Oh Mary, Mrs. Olsen made the BEST biscuits every Sunday morning!” Well if only my mother (and Mrs. Olsen too) were still living because I do believe this is the Best Biscuit Recipe around! Usually my cooking is pretty clean, healthy, low fat, not much butter. Here is a major deviation. But every once in a while – maybe twice a year, it can’t hurt you. Actually, these biscuits are so good and have so much butter in them already, you don’t need to put anything on them so you can skip those calories. Try these tomorrow with your Sunday breakfast and you will not be disappointed. Fairly easy to make and well worth the extra effort as opposed to plain toast, this recipe is from Food & Wine magazine, the August issue. Make them with LOVE and you will be in a little bit of heaven. Preheat the oven to 450° and butter a 12-inch cast-iron skillet. In a large bowl, whisk the 2 cups of flour with the baking powder, salt and baking soda. Add the cubed butter and, using a pastry cutter or your fingers, pinch the butter into the flour until the mixture resembles very coarse crumbs, with some of the butter the size of small peas. Gently stir in the buttermilk, just until a soft dough forms. Scrape the dough out onto a lightly floured work surface and pat it into a 3/4-inch-thick round. Using a 2-inch round biscuit cutter, stamp out biscuits as close together as possible. Gently press the scraps together and stamp out more biscuits. Arrange the biscuits in the prepared skillet and bake for 12 to 14 minutes, until golden brown. Serve warm. I had leftover dough and used this little pie pan my mother used to use to make us little birthday pies when we were toddlers. Isn’t it so cute?! Sure look delicious and hard to resist. I have been looking for the perfect biscuit recipe…looks like I found it! We had apple crisp this Sunday morning made with almond meal and oatmeal and just a little brown sugar, honey, and butter. Hi Mary, your biscuits look amazing, very interesting that the town would take in officers and their wives. So much has changed. I love biscuits! These turned out perfectly, I don’t think I’ve ever made them from scratch, but as a kid, I used to make them with bisquick ALL the time! They look melt-in-mouth and tempting! Those biscuits look perfect. I have been searching for years for the perfect biscuit recipe, your biscuits look great, light, fluffy. Going to try, I also use Kates buttermilk. Sometimes an American just needs a good sausage, egg and cheese biscuit to connect to the old days. These look really good and I love that pan too! 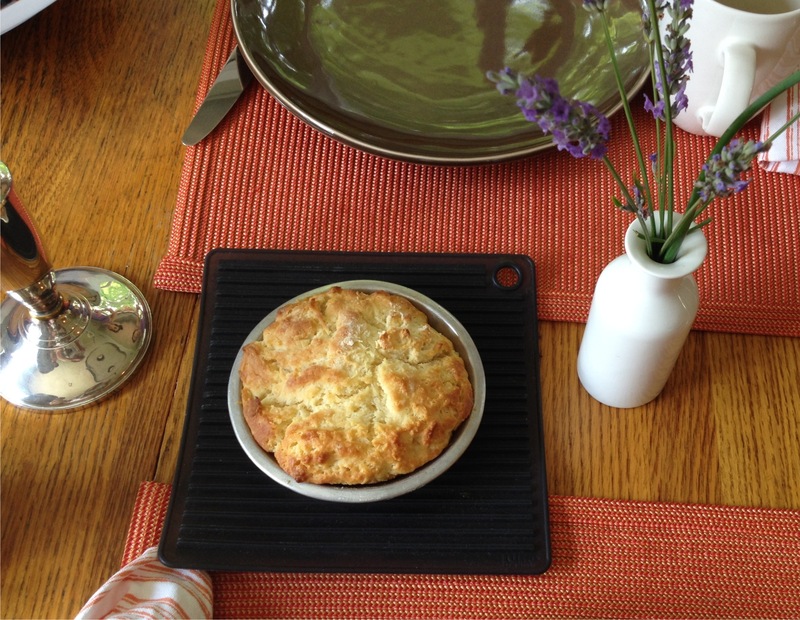 Yum a beautiful buttermilk skillet biscuit! 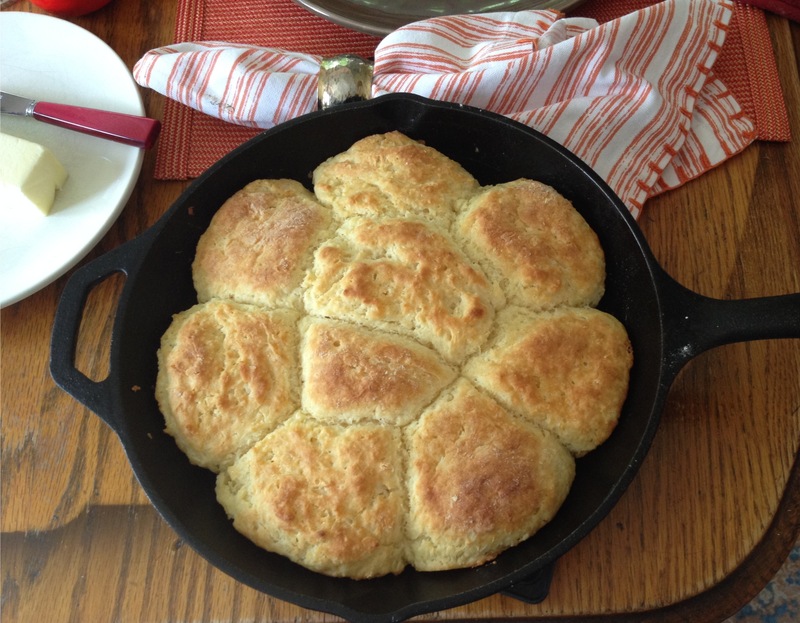 Oh these biscuits look awesome and love that they are made in a cast iron pan, will have to break mine out to try. I love that you baked them in a cast iron pan. These biscuits sound great! 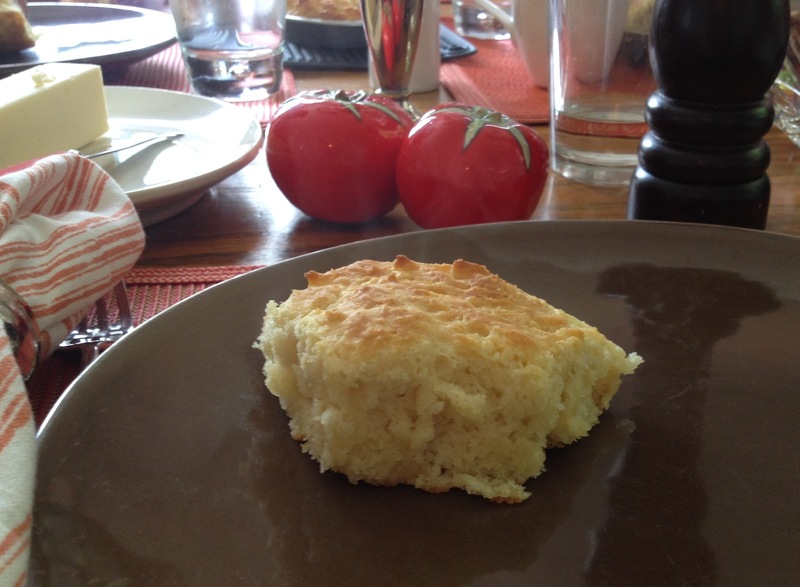 I have a weakness for skillet hot biscuits right out of the oven, extra butter for slathering, of course. This recipe looks divine. I need to but me a cast iron skillet!! This looks SO good! These biscuits look terrific – I love a fresh piping hot biscuit!